What I'm about to write is definitely spoilery. I try to avoid this whenever possible, but there is no way around it this time. So if you have a desire to read the book or see the TV show and don't want to know the details beforehand, stop reading now. 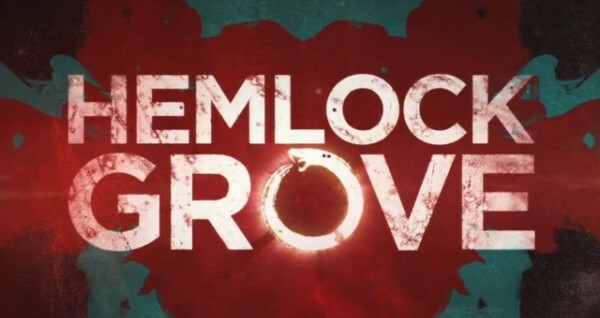 In April, Netflix started advertising the release of this show Hemlock Grove. The cool thing about it being a Netflix original series is that they release all 13 episodes all at once so you don't have to wait week to week for more shows. As someone who prefers to watch TV shows in a marathon style, this alone intrigued me enough to check it out. Also, the trailer sold it pretty well, too with this wicked werewolf transformation. SEE! So, obviously, I watched it. And I tore through all 13 episodes in two days because it was that good. The acting was stellar, it took place in this perfect fall, small town setting, and the characters were so strong I even shipped my first non-couple (Roman and Peter). 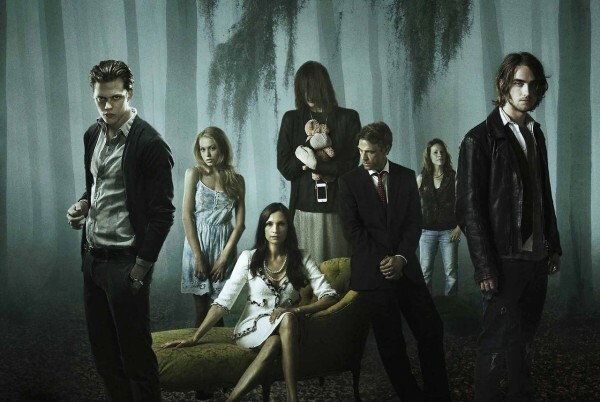 Alongside this was a crazy plot that left you with more questions than answers with every episode that passed. You know there are werewolf gypsies, that much is clear, and characters being referred to as upir's (which I didn't know was some ancient Russian vampire, nor did they ever explore/clarify that), but those same characters were also referred to as dragons and angels. There's also some sort of Frankenstein character who couldn't speak, always had her hands wrapped up and glowed when her emotions were heightened, but you're never told she's a Frankenstein, I came up with this after some internet research. In the end, it isn't clear really what most of these characters are supposed to be and it frustrated the hell out of me. In addition to the lack of answers, the last two episodes were full of so much action and detail that it was rushed far too fast for the viewer to take in. It was enough information to stretch across at least four episodes. After watching this obsessively, to say I was disappointed with the ending would be an understatement. Still, even with all the questions I have, I still LOVED this show. For starters, I learned nothing more from the book whatsoever. In fact, they seemed to add some details in the TV show that the book failed to include. And the book's ending was just as fast paced and confusing as the TV show. I can appreciate the fact that the TV show and the book's dialogue was almost word for word, but otherwise, the book fell so flat I literally fell asleep every time I sat down to read it, making it take far longer to finish than a book it's size should. I hate to criticize grammatical errors in books because Lord knows I make a disturbing amount myself in my own writing, but seriously there were so many run-on sentences, so many instances where a comma was desperately needed, and then there were moments when the author seemed to forget they were writing in third person and like a pop up video interjected their own voice in first person with an opinion of the story or some footnote us readers should know without making it clear they were doing that. Hello, distraction. In addition to these annoying technicalities, the writing was stiff. It was like listening to someone with a monotone voice ramble on with big words that impress no one, about a topic the average person has no understanding of or interest in... eventually you just stop paying attention and this is why I fell asleep so often. I know that the things I loved about the show were present in the book, but they weren't appealing the way they were in the show - it was a lot of 'telling' instead of 'showing' and that's just not the kind of writing I'm into. Maybe I'm being too critical of the book because I loved the show so much, but I can't see myself even wanting to see the show had I read the book first. Anyway, I just don't know how to feel about the whole thing now. I have yet to find any evidence of a planned continuation for this story whether it be by book or show and so I'm not sure if I'll just forever be left with these questions or not and it frustrates me. 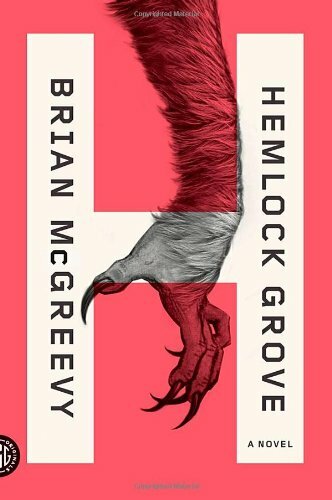 Any of you see this show or read this book? Care to weigh in with your thoughts? Current Music: States - "Can't Explain"
Oh, please watch it and then come back and tell me if I'm insane. Sorry you ended up being so disappointed with this book, especially since you loved the TV adaptation so much! I could accept it being their narration style if it was a consistent thing, but this was not the case. It happened maybe 4 times total, literally in the middle of a paragraph of third person POV. If I had the book in front of me, I'd type an example, but I guess it's hard to explain otherwise. Aw, I see. No wonder you were annoyed by it!